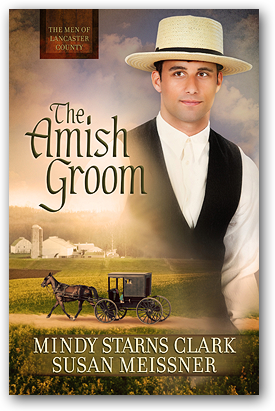 Get to know the men of an Amish community in Lancaster County, learn how their beliefs play out in their unique roles, and meet the women who change their lives. Read FAQs about this series. Visit www.amishfaqs.com for photos from Mindy’s research and more about the Amish. Learn more about Mindy's co-author Susan Meissner. Explore articles, podcasts, interviews, and other info about this series. Now the only way Matthew can solve the boundary issue and save his family's business is to track down the clockmaker. But does this put Matthew on the trail of a murderer? A timeless novel of truth, commitment, and the power of enduring love, where secrets of the past give way to hope for the future. Download the bookclub questions (pdf). "...a breath of fresh air." 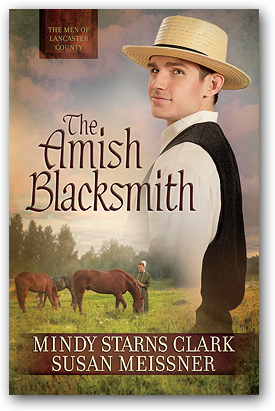 Apprenticed blacksmith Jake Miller is skeptical of Priscilla Kinsinger's innate ability to soothe troubled horses, especially when he has his own ideas on how to calm them. Six years earlier, Priscilla's mother died in an awful accident at home, and Priscilla's grief over losing her mother was so intense that she was sent to live with relatives in Indiana. She has just returned to Lancaster County. Not that her homecoming matters to Jake, who is interested in courting the lighthearted Amanda Shetler. But Jake's boss is Priscilla's uncle, and when the man asks Jake to help his niece reconnect with community life, he has no choice but to do just that. Surprisingly, he finds himself slowly drawn to the beautiful but emotionally wounded Priscilla. Jake grows determines to prove to her that it's not her fault her mother died, but what he discovers will challenge everything they both believe about the depth of love and the breadth of forgiveness. "…beautifully written and thought provoking…"
Born to an ex-Amish mother and an English father, 23-year-old Tyler Anderson was raised as a military kid until the age of 6, when his mom passed away. His dad, shipping off to yet another overseas post, placed Tyler in the care of his Amish grandparents, an arrangement that was supposed to be temporary but instead became permanent. When an opportunity to connect with his father unexpectedly arises, a visit to California causes Tyler to question everything, including a future with Rachel. Will the new girl in his life, Lark, cause him to remain in the Englisch world? Or will he return and become Amish for life? It's coming on spring, and Joel Miller is beginning to understand that his daughter is never coming home again. 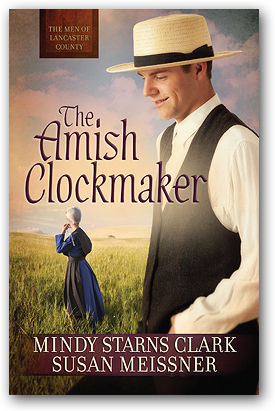 Three months ago,18-year-old Sadie snuck away in the dead of night, breaking from the Amish faith to live the life of an Englischer. The family she left behind has been dealing with the loss ever since—especially her father, who is still struggling to comprehend how God could have allowed this to happen. Now the family dog has gone missing as well, and Joel is determined to find him and bring him back home no matter what it takes. As he searches for the missing pet, can he find the strength to let his daughter go and move on with his life? If so, can he help his family do so as well? 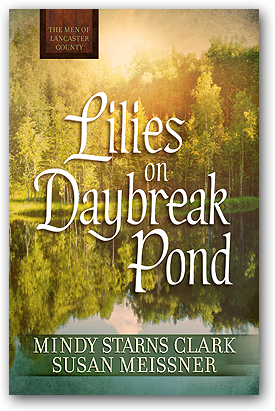 This free e-book includes the short story "Lilies on Daybreak Pond" plus the first chapter of The Amish Groom.